An important change is coming, and this will have a direct impact on the way in which sensitive and personal information is collected, stored and handled by businesses. The General Data Protection Regulation (GDPR) will replace the Data Protection Act of 1998 beefing up existing regulations and adding entirely new ones. If your bu siness deals with confidential information, it is crucial that your data disposal practices are brought up-to-date with the GDPR. Failure to do so can result in harsh penalties; fortunately, you’re not alone. As always, GHS Recycling are here to help! 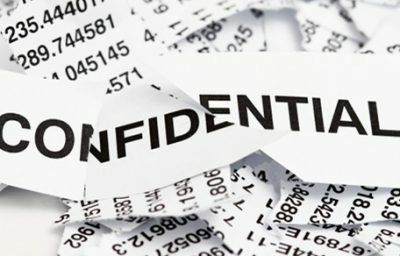 We have seen to it that our confidential shredding and waste and data collection services have been updated to comply with GDPR requirements. You can learn more about the GDPR as well as our confidential shredding and waste and data collection services below. As always, you can also contact our team on 023 92670 399 for more information about this and our other great services. What Is The GDPR And How Will It Affect My Business? The GDPR will come into effect from 25th May 2018. Businesses will be required to operate in a manner that is far more transparent than before. One way in which this will benefit customers is in the way it will make it easier to find out about the information that a company holds on them. As a result, you may find that your business ends up fielding more and more requests for data destruction. Furthermore, if the way in which held data has been collected does not conform to GDPR guidelines, information cannot be used and must be destroyed. The problem with the original data protection directives is that they could so often be misinterpreted. For instance, with email laws varying from one country to the next, enforcing the directive was often more complicated than it needed to be. By introducing one set of regulations that all businesses must adhere to, the GDPR is set to change the way the game is played. These regulations apply to everyone and are not subject to interpretation. What this means is that if your business collects, handles and stores any sort of personal or sensitive information, you must ensure that this information is disposed of correctly. If a data breach occurs as a result of malpractice, your business could face a steep fine. What Sort of Information Does This Relate To? Interestingly, Pseudonymised data can also be covered under the GDPR where previously, there was no legislation to govern it. Worth noting, especially if your company deals with this in any way. But what about those fines we mentioned above? Minor offences can incur a fine of up to €10 million or 2% of a company’s global turnover (whichever is higher). For larger offences, the fine will reach up to €20 million or 4% of a company’s global turnover (again, whichever happens to be higher). No doubt this has given you reason to pause, but don’t worry! It’s easier than you think to ensure that your business is fully compliant to help you avoid these fines. How Can GHS Recycling Be of Assistance? There are several reasons as to why information would be destroyed. The information may be inaccurate or no longer relevant or the individual to which the information relates to may have withdrawn their consent. Of course, the “why?” isn’t as important as the “how?” In the wrong hands, even information that is out-of-date can be potentially damaging. The GDPR is coming, and it’s vital that you make sure that your business is prepared. At GHS Recycling, we provide a wide range of data protection plans to suit the needs of your business and your available budget. It’s essential that you know exactly who you’re dealing with and so we only use uniformed employees who have signed confidentiality agreements. All confidential materials can be collected from your premises in one of our trucks and transported directly to our secure facilities. Once onsite, all material will be attended at all times or held in a secure environment to which only authorised personnel have access to. These areas are fitted with monitored alarm systems and cameras. Our team possess the knowledge and equipment necessary to shred documents in a way which protects individuals against identity theft and fraud. 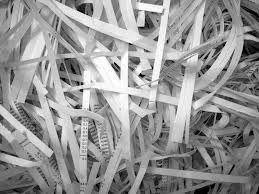 Whenever confidential shredding is carried out, a certificate of destruction will be provided for your records. As well as documentation and forms, we can also provide confidential waste and data protection services for electronic data too. Any highly sensitive material can be incinerated if necessary by our fully licensed team. So long as you remain fully compliant with the GDPR, there will be clear benefits to your business. This is all because the GDPR provides numerous safeguards that protect individuals. As a result, clients will be more inclined to entrust companies with their personal and sensitive information. For more information about how GHS Recycling can help, call us today on 023 92670 399 and speak with a member of our team.